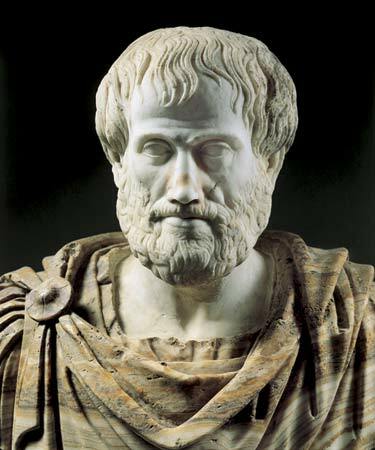 These five “topica” (or “topics”) are “places to get information.” Unlike our usual concept of this word (“What topic are you going to write about?”), Aristotle’s five topics* can not only revolutionize your writing but also your teaching. If you’ve spent any time at all around CIRCE, you’ve no doubt heard the admonition to “teach from a place of rest.” Let me assure you that five basic concepts can liberate your teaching and help you to begin that rest right now. While Lost Tools can give your students practice in using these, even a brief overview such as this can enable you to begin incorporating these into your lessons – no matter what the subject. Definition: Define your terms. We can’t understand it if we don’t know what it is. While definitions used to involve at least some thinking (at least alphabetizing and spelling), today’s technology has put digital dictionaries in our pockets. Guess what? By asking the questions “what group does it belong to?” and “how is it different from others in that group?” you and your students will be doing some serious thinking. Comparison: How is X like Y? What differences spring out of this similarity? Are these differences of “a certain kind of thing” or differences of “more/less”, “better/worse”, or “bigger/smaller”? Circumstance: What in the world is going on here? What in the world is going on somewhere else? Relations: What was the cause of X? What was the effect of X? Did this effect in turn cause something else? Just because something happens before or after another thing doesn’t necessarily mean it caused that thing. Authority: What does the eyewitness have to say? What does the expert witness have to say? Experts are often removed from the “scene of the crime” but because of their valuable knowledge, we look to them for help. How might these five topics be used in teaching? Notice how each of them involve asking questions? (Notice how I just asked you more questions?) The goal is eventually to have our students learn how to ask these questions on their own. For now, we can model this in our discussions. Instead of being bound to someone else’s idea of “discussion questions”, you are free to use these topics and let the lesson progress according to the questions your students are asking. What is a U-boat? What is mitochondria? How is Robert E. Lee like George Washington? Is the Mississippi River home to more species of fish than the Amazon River? What was going on in Rome when it fell? What was the cause of the discovery of penicillin? What was the effect of this discovery? What did Jane Eyre’s cousin think of her actions? What does the Bible say about Atticus Finch’s decision to defend Tom Robinson? These five topics are the keys to unlocking a world of learning. Happy travels! *He had many more, but in Lost Tools of Writing we focus on these five. Renee, these are wonderful insights and so very helpful to me at this point in time! I hope someday to be able to enroll in and complete the CIRCE training in the Lost Tools of Writing. I am saving your article for future reference.